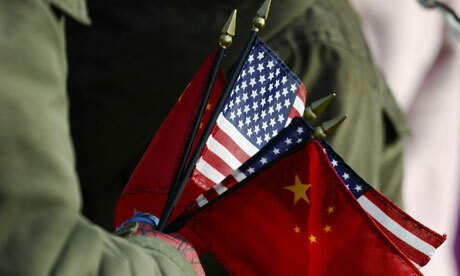 The Chinese government has attacked the US for targeting WikiLeaks while campaigning for internet freedom overseas. Beijing has a doctrine of non-interference in other countries' internal affairs, but the State Council Information Office releases an annual report on the US human rights record as a riposte to Washington's criticisms. The document says it underlines the hypocrisy of the US and "its malicious design to pursue hegemony under the pretext of human rights". Last week the secretary of state, Hillary Clinton, criticised China's "worsening" record – citing the detention of artist Ai Weiwei and others – as she released the annual state department survey of the human rights situation around the world. An introduction to the Chinese document, by the state news agency Xinhua, said the report was "full of distortions" and the US "turned a blind eye to its own terrible human rights situation". Much of the document focuses on social and economic issues such as poverty, crime and racism. It attacks the US for the large number of civilian casualties in Iraq and Afghanistan and the prisoner abuse scandals that have dogged counterterrorism initiatives. It adds: "The violation of [US] citizens' civil and political rights by the government is severe … the United States applies double standards … by requesting unrestricted 'internet freedom' in other countries, which becomes an important diplomatic tool for the United States to impose pressure and seek hegemony, and imposing strict restriction within its territory. "An article on [the] BBC … noted the US government wants to boost internet freedom to give voices to citizens living in societies regarded as 'closed' and questions those governments' control over information flow, although within its borders the US government tries to create a legal frame to fight the challenge posed by WikiLeaks." While some of the data cited in the report is derived from official or authoritative sources, other sections are composed from a mishmash of online material. One figure on crime rates is attributed to "10 Facts About Crime in the United States that Will Blow Your Mind, Beforitsnews.com". The report also refers to evidence from groups such as Human Rights Watch. The organisation has repeatedly criticised abuses in China and its website is blocked in the country.